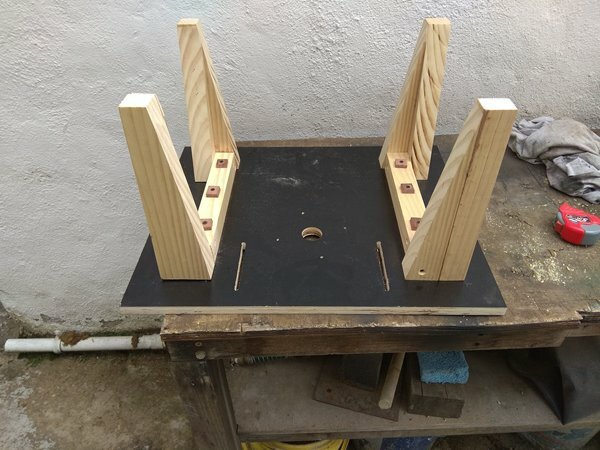 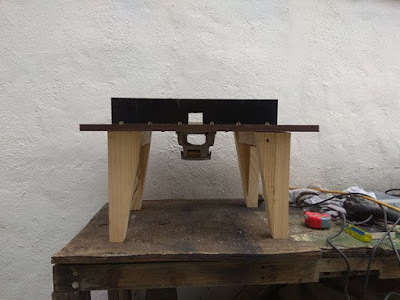 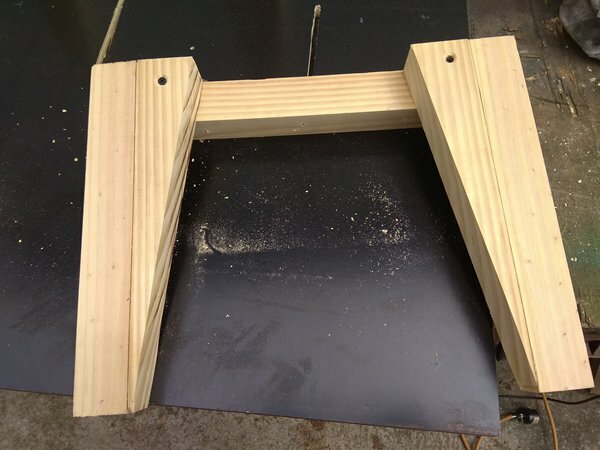 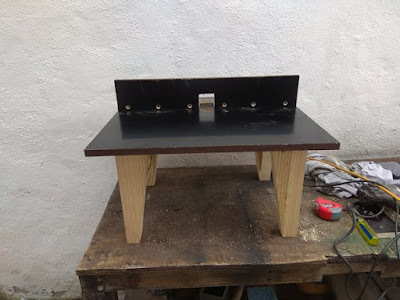 I decided that I wanted a new router table, I had one I made that I could put in the vice, it works, but is limited in what it can be used for, I found a plan I liked in Instructables, and to a greater extent followed it, which makes a change for me, in all it probably took three to four hours to make. 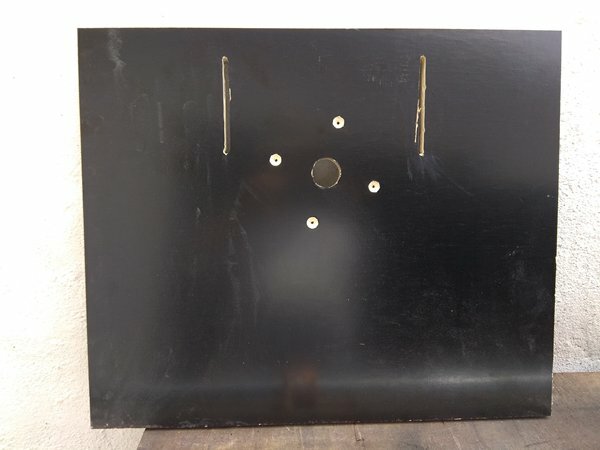 I did have a slight problem, that was when cutting the slots for the fence, I drilled a 1/4" hole at each end of the slot and started to cut the slot with my jigsaw, but as with all things jigsaw, it went off the line almost immediately, god know why it was ever invented, it's a useless tool, so I reverted to my trim router, and had the slots done in minutes. 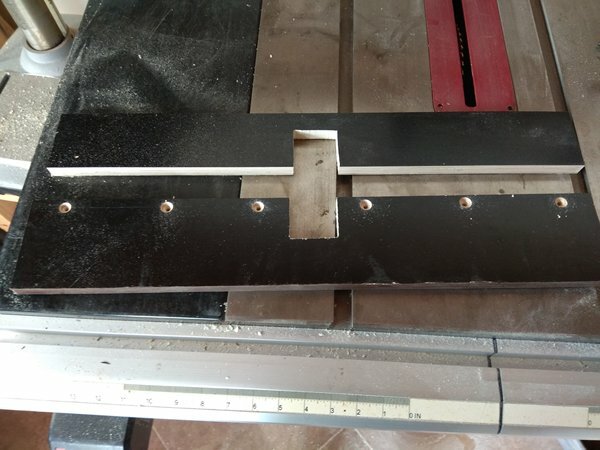 The damage by the jigsaw won't effect it's use, so I wasn't starting again! I then drilled the holes for the router itself. two bits of plywood, the same length as the table, glued and screwed at right angles. 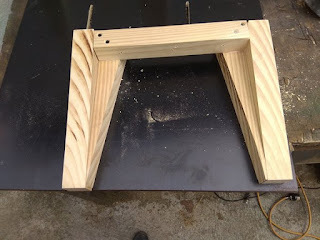 I needed 2 1/4" screws, but only had 2 1/2", so I made some 1/4 hard wood washers, problem solved. The plan called for some electrical work, but I use this router for other work as well, so I didn't want to wire it in. I am pleased with how it has turned out, and I am looking forward to using it.